Keep your finger on the pulse of what’s happening in our eco-system by checking out our FUSE News with information on past events and an inside look at the innovative work of our members. 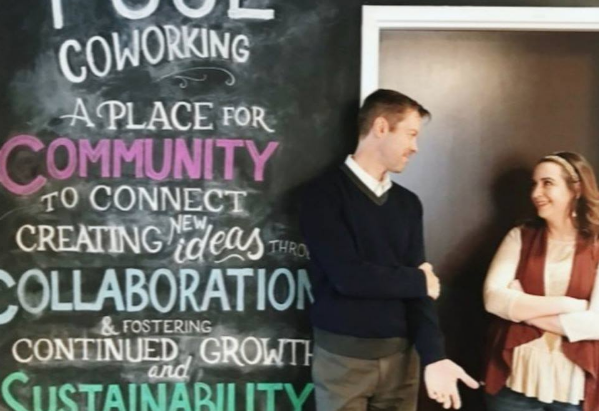 Community Manager, Paige Piper, and Co-founder, Bob Hinrichs had the opportunity to share the story of FUSE and their passion for coworking on January 23rd with New York Times Journalist, Jon Hurdle. As the article states, “The fast-expanding co-working movement is transforming the workplace…” It was an honor to be featured by the New York Times! Make sure to check out the article here!